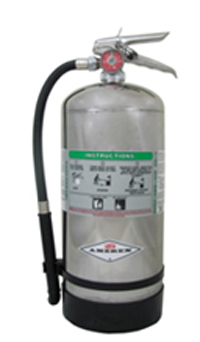 We service and sell all types of fire extinguishers. 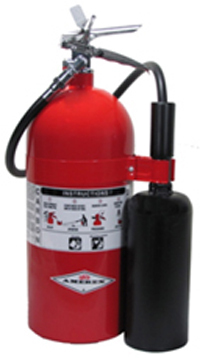 There are many types of portable fire extinguishers. Carbon Dioxide fire extinguishers discharge a white cloud of which smothers a fire by eliminating its oxygen. It is effective for Class B flammable liquid fires and is electrically non- conductive. Also know as type K, extinguisher: They are the best restaurant kitchen appliance hand portable fire extinguishers you can purchase. Both have been tested and approved for the new Class K listing by UL specifically for restaurant kitchen hazards. All fire extinguishers must be serviced annually and/or after use.